WHAT WE FILIPINOS SHOULD KNOW: During their 44-year occupation of our homeland, the Americans established a colonial government that resembles to a great degree their democratic system of national government. The manner in which the colonial government was established and administered made the Filipinos forget about the lopsidedness, brutality, cruelty and harshness that were brought to their nationalist forefathers during the Philippine-American War. The American occupational government gave the lasting impression on subsequent generations of Filipinos that the Americans came only because of their self-proclaimed, God-ordained Manifest Destiny , supposedly a mission of pure benevolence and generosity, the intention of only Christianizing -forget that most Filipinos were already Christians (Catholics)- and preparing them for self-government and democracy. To quote President McKinley to a Methodist delegation (1899): "...there was nothing else for us to do but to take them all, and to educate the Filipinos, and uplift and civilize and Christianize them...". In 1946, America "granted" us our political independence. We then continued to have what we proudly proclaim as a democracy. As in much of human endeavor, it should be remembered that the selection of a particular political ideology, i.e. communism, socialism, or democracy, etc, could only be justified on the premise that the net result will be the common good. When the chips are down so to speak, the demands of family, tribe, locality, religion, conscience, economic interest and a host of other appeals are subordinated to the national allegiance. Such nationalism is demonstrated for example in the readiness to defend the nation against all assaults as in a war, or during peacetime, in the zeal for the nation’s welfare in all dealings with other countries, including their foreign agencies or corporations. As a nation, we fail this criterion 1. The Filipino majority is basically literate but significantly lacking in the ability to make critical and informed decisions for at least two important reasons: there is no real transparency in high government which led and continually leads to incomplete dissemination of essential information and most important, the failure of the educational system to inculcate social awareness and critical knowledge and study of its history. As a nation, we pass this measure in terms of basic literacy but apparently fail or barely pass criterion 2 on functional literacy. 3. Relatively High Standard of Living – Whatever the region or the culture, every country with a GDP per capita above US$4,000 is a free and democratic country, with the exception of Saudi Arabia. For example, these countries are found in North America (USA, Canada) and Western Europe; South Asia and the Pacific: Japan, South Korea, Taiwan, Singapore, Hong Kong, Australia and New Zealand. WB Y2001 data estimated that the annual average income per Filipino is US$1030 compared to South Korea, Malaysia, and Thailand at US$9400, $3300, $1940 respectively. Our relatively low wages attract investors but the Philippines has the lowest income per head after Indonesia, among the larger economies of East Asia [our small middle class discouraged foreign direct investments (FDI) in manufacturing e.g. Japanese has bypassed us in recent years]. Our poverty rate is a disturbing 38% - more than 1/3 of Filipinos are poor and 45% of us survive, i.e. existing not living life on P100 a day. In contrast, Thailand has a poverty rate of 13%, Malaysia 16%, and Indonesia 27%. In terms of GDP growth rate, the Philippines ranks 112 out of 190 countries per the CIA World Factbook 2001. Singapore is No. 8, Malaysia No. 12, and Thailand No. 92. We see greater disparity between us and our more affluent ASEAN neighbors in the Growth Competitiveness Index of the latest Global Competitiveness Report, where the Philippines placed No. 61. Singapore was No. 4, Malaysia No. 27, and Thailand No. 31. The only ones below us were Vietnam (65) and Indonesia (67). If we tread carelessly, Vietnam might even overtake us. As a nation, we fail this criterion 3. A burgeoning Chinese AB class who may be alien to the native’s patrimony and therefore may truly care less for the majority of Malay natives because of separate schooling and social background are replacing the native middle class Filipinos. Reminds me of a younger Chinese who told me years ago, “Before, we were segregated and not allowed citizenship, now it’s our time and turn”. We remember hearing and reading about some members of Congress accused of accepting bribes from illegal Chinese immigrants to obtain legal status or citizenship (prior to legalization in 1975). As a nation, we fail this criterion 4. 5. Sense of Social Equality – Obviously, there is not much social equality to talk about. Prejudice and its manifestation in social discrimination exist, though discrimination is primarily based on socio-economic standing rather than racial. However, we can recognize that even those with only a hint of Spanish, American or other Caucasian blood oftentimes feel, assume and display racial superiority; that is, where one is in the racial color spectrum matters; the case may be true also among the Chinese who now control much of our commerce and industry. In recent politics, it is well known that the D and E classes, the masa and the very poor respectively, were the ones responsible for Joseph Estrada's victory in the 1998 presidential election. It was social class, rather than region, or religion, or gender, or age, that was critical to that election, since Erap lost the ABC votes (per SWS). Of course, the ABC people resented this fact. As in 1998, the dominant Y2004 election issues are and results can very well be a repeat of the class conflict. As a nation, we fail this criterion 5. 6. Tradition of Tolerance and Individual Self-Reliance – Several factors as alluded to above: from our tribal mentality, varied racial heritages and prejudices, e.g. Spanish/Caucasian or Chinese versus native Indio/Malay, religion (Christian or Muslim), and socio-economic class consciousness to physical characteristics seems to contribute to a sense of social inequality and thus absence of a tradition of tolerance. Furthermore, the concentration of wealth to a few, i.e. fifteen (15) families in the country per ADB Country Report and the absence of a significant land reform or wide ownership of agricultural land and manufacturing industry result in the lack of available and/or continuous work beyond subsistence levels for the majority. All these, in addition to the fatalism derived from religion and the help afforded by the extended family did not create nor encourage a tradition of self-reliance. We encapsulate and observe thus: If you're poor, “bahala na”; And if you're rich, "Bahala na silang magutom." As a nation, we fail these criterion 6. In conclusion, we Filipinos based on the above measures do not have now the capacity to effectively and efficiently implement a true democracy beyond the fruitless exercise of periodic “elections” – which time and again is a circus and con game imposed by the “elitist democracy” that began during the pre-WW2 “Philippine Commonwealth” and which continues to the present time. 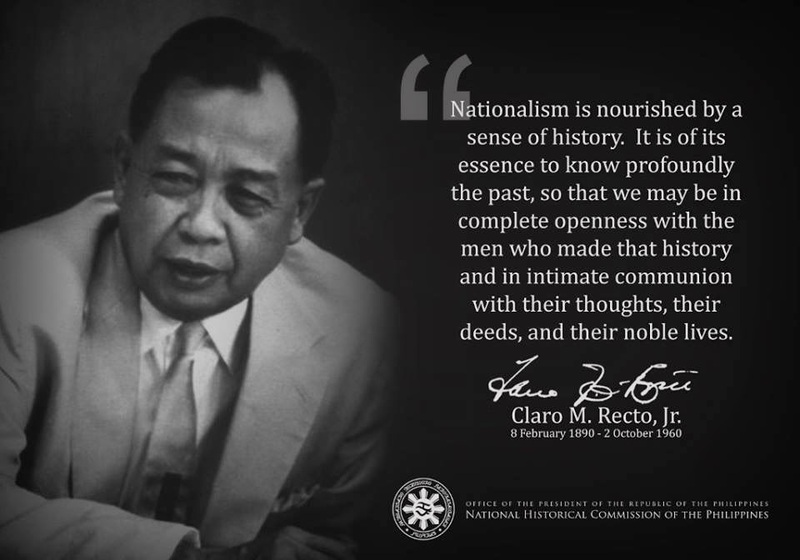 As I have indicated in previous writings, this political charade could not and will not be broken given the dominant realities of an elitist democracy and strong foreign inlfuence inimical to Filipino nationalism, and thus result in the absence of true and popular democracy of, by and for the Filipino people. The erosion of our relatively nascent political democracy was demonstrated by the ability of Marcos to proclaim martial law in 1972, pushing the Constitution aside, suspending political parties and elections, and imposing his 14-year dictatorship; and also by the subsequent coup attempts by the military, an indication for its trend towards disrespect for constitutional democracy. Our commonly acknowledged personalization of political loyalties can be largely attributed to the lack of appreciation of deep national issues and sophistication of the majority, who seem to require the personal figure of a leader (celebrity nowadays?) to bring political abstractions down to the level of comprehensible reality (are they even discussed?). Most important, poverty-ridden people are not likely to make their first concern the preservation of liberties, political forms and international agreements, all of whose significance are obscure to them. My prognosis of the socioeconomic and political cancer is pessimistic; but oftentimes as in our homeland’s case, becoming pessimistic and cynical came from a process of appreciating and recognizing a cruel societal reality; a nation-state still based on semi-feudal political and neocolonial economic structures that requires a nationalistic and drastic resolve to break it out of the willful neglect by its elitist rulers in government, business and their foreign partners. Whether this resolve can come about depends on the Filipinos in the Philippines. Nationalism is really lack to us. The Philippines is only a year old or so. Although the framework of democracy was handed to us, we, as a colonized people cannot be expected to understand the basic concepts that make democracy what it is today in the United States. Therefore, it is too early to expect that the Filipinos in the Philippines readily apply the principles of democracy in their lives. And that is where our difficulty and frustration lie. But my fear is that we may not persevere to go through the hurdles of disabling attitudes and tendencies, fanatical beliefs and poor self-image that are normally observed to people of colonial background. Our people, even the young ones continuously see the poor examples of their elders. There are no consequences for crimes and corruptions committed by the politically connected, middle class people. The Filipinos do not have that genuine regards for the rule of law. And, most of all, we really have not develop that sense of nationhood that will lead our conscience to empathize with injustices and deprivation of the majority of our fellow Filipinos in home. The effect of our colonial mentality is so strong that even if a Filipino gets exposed to this society, the American society and government, he will eventually recedes into the same mind. The 'kami-kami' and 'tayu-tayu' minds will take over. This satisfies his longing to be accepted, to be regarded, and to be among the people he considers himself to be: better than those who are not like him. The Philippines is only a year old or so. Although the frameword of democracy was handed to us, we, as a colonized people cannot be expected to understand the basic concepts that makes democracy what it is today in the United States. Kew was right, we are not ready to apply the principles of democracy to our lives as Filipinos. And that is where our difficulty and frustration lie. But my fear is that we may not persevere to go through the hurdles presented by disabling attitudes and tendencies, fanatical beliefs and poor self-image that are normally observed to people of colonial background. Our people, even the young ones continuously see the poor examples of their elders. There are no consequences for crimes and corruptions committed by the politically connected, middle class people. The Filipinos do not have that genuine regards for the rule of law. And, most of all, we really have not develop that sense of nationhood that will lead our conscience to empathize with injustices, poverty that the majority of our fellow Filipinos suffer. The effect of our colonial mentality is so strong that even if a Filipino gets exposed to this society, the American society and government, he will eventually recedes into the same mind. The 'kami-kami' and 'tayu-tayu' minds will take over. This satisfies his longing to be accepted, to be regarded, and to be among the people he consider himself to be: better than those who are not like him. I sometimes log-in to Talsik and bright as they are, what they are talking about never reach those beyond the perimeter of their kinds. Very sad. Your description of us as a people, then and now, recognizes the bad in our value system and also our "damaged culture." The unfortunate and sad truth is that many of us do not realize it, do not have it in our consciousness. Given our propensity for authoritarian rule, plus the conditioning from our dominant and hierarchical Catholic religion and Asian influence,we as a people can and will change only via the edicts of authoritarian rule. Obviously, even a bloody revolution will not change us; it has to come with a cultural revolution. If radical though peaceful means can happen (frankly,it can not and thus will not), a reeducation, call it brainwashing or other, is required to change our attitudes and behaviors. Peacefully or not, such a change will take decades of conscious and guarded effort(as foreigners and their native running dogs will fight it. "A burgeoning Chinese AB class who may be alien to the native’s patrimony and therefore may truly care less for the majority of Malay natives because of separate schooling and social background are replacing the native middle class Filipinos." Given this quote, I wonder how well you know the history of Chinese in the Philippines. Surely you have a good reason to think that the Chinese-Filipino youth are apathetic of the problems that plague our nation. I suggest that you elaborate on this quote to prove that you really have solid grounds on your beliefs. Thanks again for blogging about the not-so-known aspects of Philippine culture and for providing a place for serious discussion about our culture. Keep up the good work!